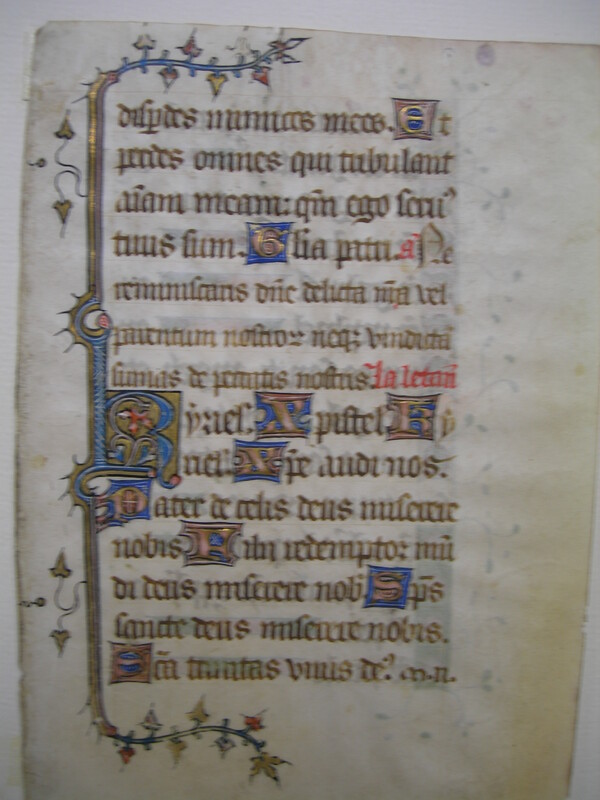 Text: The end of the Seven Penitential Psalms and the beginning of the Litanies (recto); the Litanies occupy all of the verso. Et perdes omnes, qui tribulant animam meam: quoniam ego servus tuus sum. Ant: Ne reminiscaris Domine delicta nostra, vel parentem nostrorum: neque vindictam sumas de peccatis nostris. La Letani. Kyrie eleison. Christe eleison. Kyrie eleison. Christe audi nos. Pater de caelis Deus, miserere nobis. Fili redemptor mundi Deus, miserere nobis. Spiritus sancte Deus, miserere nobis. Sancta Trinitas unus Deus, m. n.
[Psalms 142] ...thou shalt destroy mine enemies. And thou shalt destroy all, that afflict my soul: because I am thy servant. Glory be to the father. Ant: Remember not, O Lord, our or our parents' offences: neither take vengeance of our sins. Lord have mercy upon us. Christ have mercy upon us. Lord have mercy upon us. Christ hear us. Christ graciously hear us. God the Father of heaven, have mercy upon us. God the Son redeemer of the world, have mercy upon us. God the Holy Ghost, have mercy upon us. Holy Trinity one God, have mercy upon us. Omnes sancti beatorum spirituum ordines, orate. 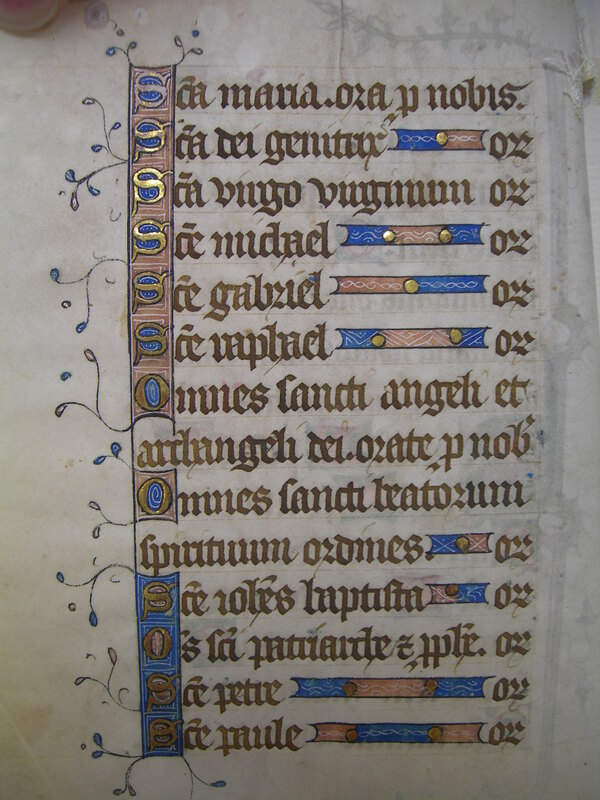 Omnes Sancti Patriarchae, et Prophetae, orate.